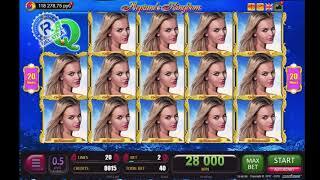 Now one of the most popular slot Princess of Swamp is available ONLINE! What could be more wonderful than being in a fairy tale? 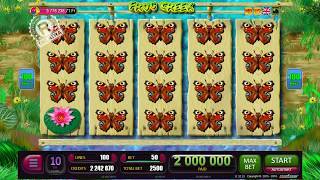 You have a chance to find yourself in the real fairy tale with the online game Princess of Swamp, at the end of the story the frog turns into a beautiful princess, and you into a rich man! 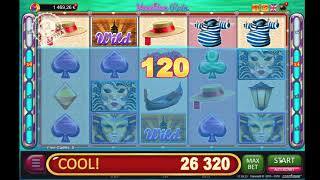 Now you can play online slot Princess of Swamp for free and without registration. Try your luck! You have more chances to win in this slot, because the winnings are considered not only from left to right and right to left, but also in the center! This online game is fraught with a lot of pleasant surprises! 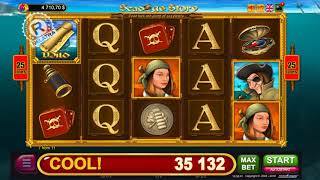 If you have 3 or more characters in any position on the reels the magic bonus "Swamp" have opened to you. Jumping from one lily to another you increase your money, but be careful, the swamp is insidious and not every lily will allow you to jump to the bank. But if you play online at an increased rate you will have an additional attempt at the first stage of the bonus, even if you get on a bad water lily. Jumping over all the swamp and being on the bank, you will get a bonus "Crocodile”! In all you will have 8 attempts, for this attempts you should find the Frog Princess. Be very attentive, choosing between two bumps, even playing online, there is a risk of being eaten by a crocodile!